With the weather cooling, the air is drying out… and so is my skin. 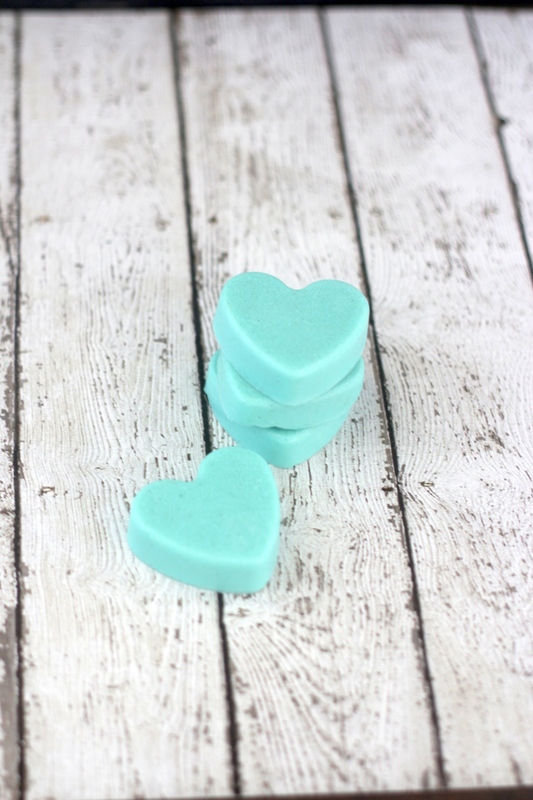 I love Homemade Sugar Scrub Bars because they are so easy to use, I can keep a jar of them in the bathroom and just grab one before I hit the shower. 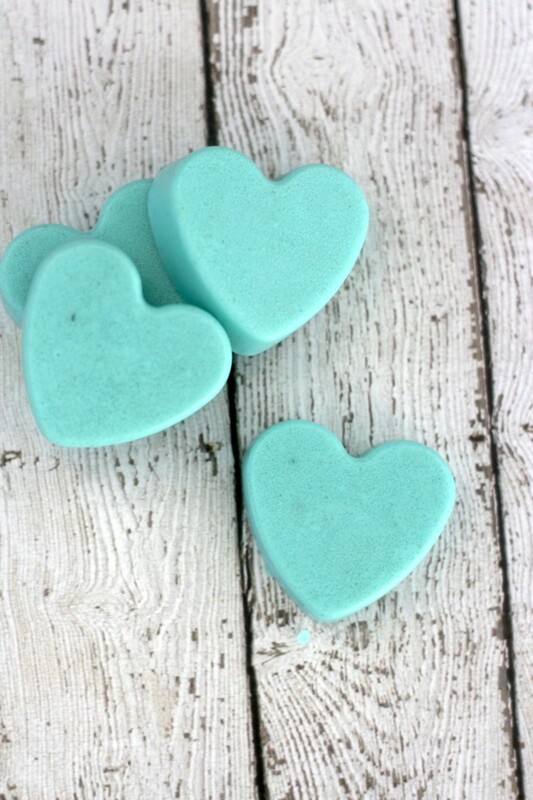 These sugar scrub bars also make the perfect homemade gift for the holiday season. 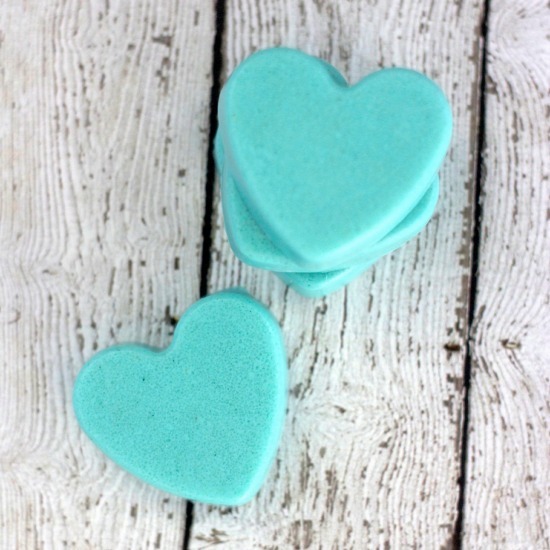 I prefer sugar scrub bars over the jar stuff because it is easier to use and not as messy! 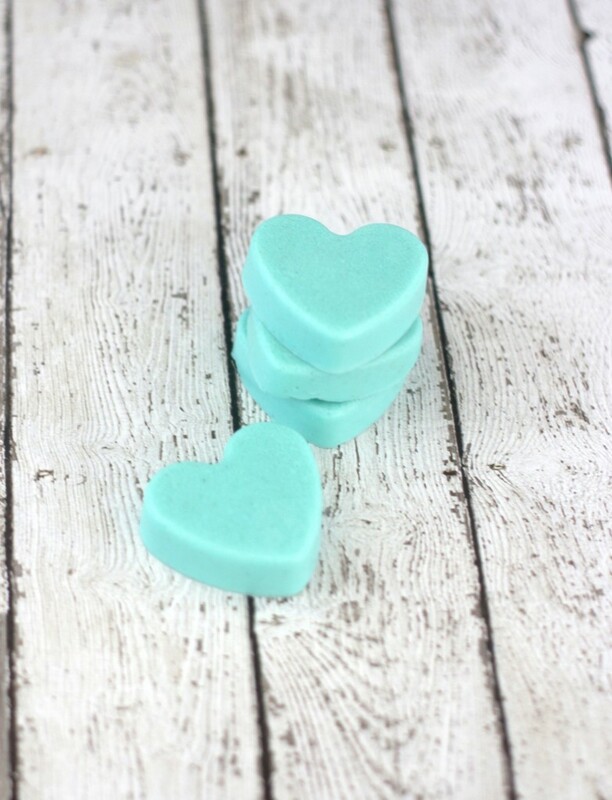 And, just like all of my other DIY beauty products, they are totally customizable and inexpensive to make! Lets get this sugar scrub party started! Mold *As you know I am a fan of silicon molds! Cube or shred your melt and pour soap. In a double boiler, melt your shredded soap. If you do not have a double boiler, microwave in 15 second intervals, stirring in between until melted. Mix in your coconut oil until combined and add your essential oil. Add in your color mica and mix until you get a uniform color. Mix in your sugar and stir until well combined. You are looking for a slushy like consistency. Pour into your molds and allow to dry for 1-2 hours before unmolding. *If your sugar and soap mixture gets to thick, microwave on 10 second bursts until you are able to pour. Previous Post: « Free Star Wars Printables with a Coffee Theme! Hi Jamie – These look fun and easy to make. I’m also going to check out your homemade gardener’s soap, because I will be needing that this summer! Thanks so much for sharing with the Let’s Get Real party. I am pinning this to our group board on Pinterest. What a great idea! These look so fun 🙂 Would love for you to link them up (or any other DIY) at our link party on my blog 🙂 Would love to try them! Have a great week.